« A Real and Raw Conversation with Entrepreneurs from around the world. 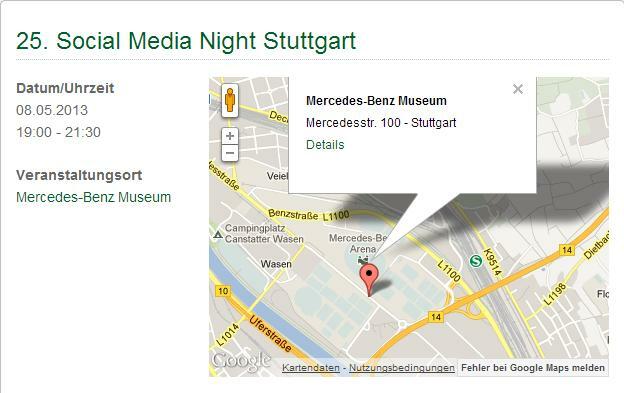 The Social Media Club Stuttgart organizes monthly meetups for social media professionals. The venue is the Mercedes-Benz Museum which is a great stage for such events. Each month over 200 attendees gather to hear the latest news from the new/social media world and to exchange ideas and share experiences. Stuttgart is also known for its great businesses. You will find a lot of interesting inviduals and decision makers among the audience. So it`s a great networking event, too. Many global players are based in and around Stuttgart. From Daimler, Porsche, Bosch to Stihl and Fischer there are many businesses which hold a leading position in their industry. This time Eleftherios Hatziioannou – founder and CEO of Peopleizers – will be one of the speakers. The title of his presentation “Social Media Beyond Borders”. He will take a closer look at the different levels of change management related to the social media engagement of businesses. He will share his lessons learned on the individual and organizational level and also how to tackle the challenges of a global market place driven by empowered consumers. In a live interview with a surprise guest from the Middle East he will discuss how brands can organize their global social media presence beyond country borders. Eleftherios Hatziioannou aka Lefti will draw from his broad experience in helping brands to get their social media engine started. Psssst…. The event is sold out. If you are around and still want to be part of the event, drop us an email. We will try our best to get you on the guestlist, but don`t tell anyone;) Thanks for stopping by. This entry was posted in public and tagged change managament, Conferences, Global, mercedes-benz, social media, social media club, social media manager. Bookmark the permalink. Post a comment or leave a trackback: Trackback URL.